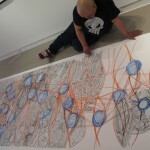 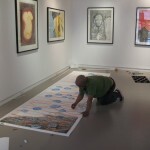 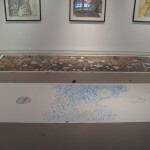 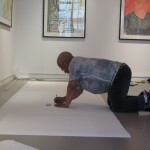 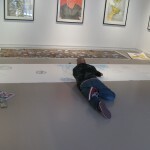 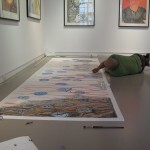 Following the opening of Jutai Toonoo: Body Contemplation, this Cape Dorset artist extended his stay in Toronto. 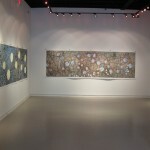 During this time, Jutai engaged in a discussion with Pat about close friends and family members suffering with cancer. 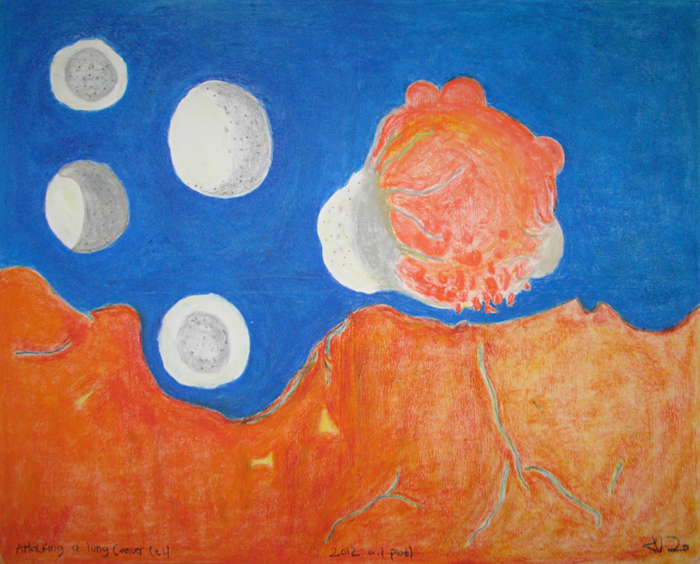 This had a deep impact on the artist who was inspired to explore this topic through a series of three oil stick drawings he completed in Centre Space. 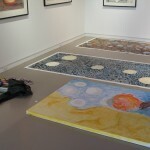 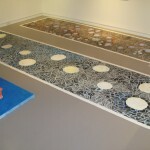 These works are now on display.